Cleaning the kitchen is a tiresome job that repeats over time. We are certain that you have a busy life, which keeps you from maintaining hygiene in your kitchen. But don’t you worry about that. We have a solution. 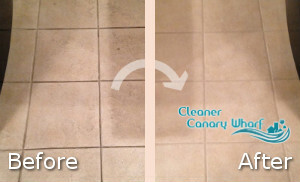 We suggest you go for our kitchen cleaning service in Canary Wharf E14. We can assure you that it is exactly what you need. Our cleaners are trained and qualified. They know what they are doing. They are good at cleaning kitchens and they can totally transform yours. We are open every day. For more information, give us a call. 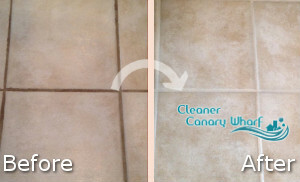 Not only is our kitchen cleaning service in Canary Wharf reputable and dependable, it also comes at decent prices. We assure you that you won’t find such a great service in London at such a good price. Our kitchen cleaning program is focused on getting all your kitchen areas disinfected so that when you cook, your food sits on a germ-free surface. We realise the importance of bacteria-free worktops and sink. That’s why we go above and beyond to scrub and sanitise every available surface. Your kitchen will look at its best once we are done cleaning. We assure you that no matter how long we stay in your property, we will work as hard as we can until the heart of your home becomes shiny and dirt-free. We will have you impressed. We promise to get your kitchen surfaces immaculate so that you can focus on other cleaning jobs in the house. It is a matter of a couple of hours for your kitchen to be brought back to shine. We are sure that you won’t find a better kitchen cleaning service in E14 Canary Wharf. If you are interested in giving our company a try, be sure to make an appointment by phone whenever you can. We promise to lend a hand. You can lean on us. Copyright © 2015 - Cleaners Canary Wharf.